Admiralty is focused on iron or in Chile, with the company also having projects in Australia - including the Bulman Project in the Northern Territory and the Pyke Hill Project near Leonora in Western Australia. In May this year Admiralty delivered a positive Pre-Feasibility Study for its Mariposa magnetite iron ore project, which is located in the Atacama region of Chile, and is around 20 kilometres south of Vallenar. The 32 mineral exploration and exploitation concessions covering approximately 6,600 hectares are located within the Chilean iron belt in the Atacama Desert. The Pyke Hill Project in Western Australia comprises a single granted Mining Lease which covers an area of 5.37km2. 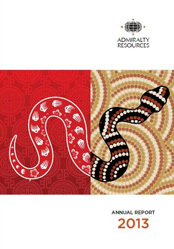 Access the Admiralty's annual report. Access the current Top 20 Shareholders.